Mid-life career change is hard. Mid-life career change is hard. You spend years climbing to the top of a ladder only to decide that, nice though it is, you fancy a change of scene. So you jump off and start again. It would be overwhelming were it not for the huge buzz you get from immersing yourself in something completely new. At least, that’s how it feels to me, becoming a leadership coach after decades honing my skills in PR. On the surface advising CEOs and politicians on communications should be pretty similar to coaching — right? Dig a little a deeper and you realize coaching demands a completely different approach. As an advisor you are rewarded for helping organizations identify problems (and opportunities). You tell them what’s wrong and what they need to do to fix it. But as a coach, you do the opposite. It is not your role to tell anyone to do anything. You are there to question and enable. Coaching is more ‘ask’ than ‘tell’ and is focussed on solutions. Generally speaking, if someone is in the hole you’re not jumping in with them. But you can give a hand up. You are focused on future — what they are going to do once they get there, and how good it’s going to feel. So in making the move from PR to coaching I’m moving from the bottom left quadrant to top right — from one extreme to another. Which is why some days it makes my brain freeze. Understanding this helped me a lot. And with my coach hat on I know that the act of labelling this issue, and being hyper-aware of it, makes it more manageable. So if that is the main difference, what are the similarities? First, time spent working through issues with CEOs and politicians is clearly a good grounding for coaching leaders. You get exposure to brilliant, obsessive people trying their best to navigate challenging issues in the face of hostile and cynical audiences. You also get shouted at a lot. That doesn’t happen so much in coaching — which is a great. But if it does, I know how to deal with it. Second, in today’s social media landscape, PR is at it’s best when it is honest, transparent and humble (especially as the Twitter-sphere will brutally take down those who cross the line — Pepsi/Jenner anyone?). The same is true in coaching, and in leadership strategy. Great leaders (as highlighted in Jim Collin’s fantastic book ‘Good to Great’) confront the brutal facts and channel their ego away from themselves. Third, both are based primarily on strategy. The best PR plans follow the POST framework (Problem, Opportunity, Strategy, Tactics). It’s a structure that allows you to tackle any issue in a systematic and thoughtful way. Good leadership coaching does the same. You start with goal setting (Problem and Opportunity), work through strategies (Strategy) and move into action planning and accountability (Tactics). Understanding the similarities and differences between the two roles has helped me more than anything else. Appreciating the skills you bring as a PR enables you to approach coaching more confidently. You are not starting from scratch but building on years of expertise, working with people and problems. Accepting the differences means you are less likely to slip back into ‘opinion-mode’. In fact the further into coaching you get, the more you embrace the powerful neutrality of a coach. You see how much better it is for people to find solutions themselves. And how rewarding it is to be the person enabling these insights. 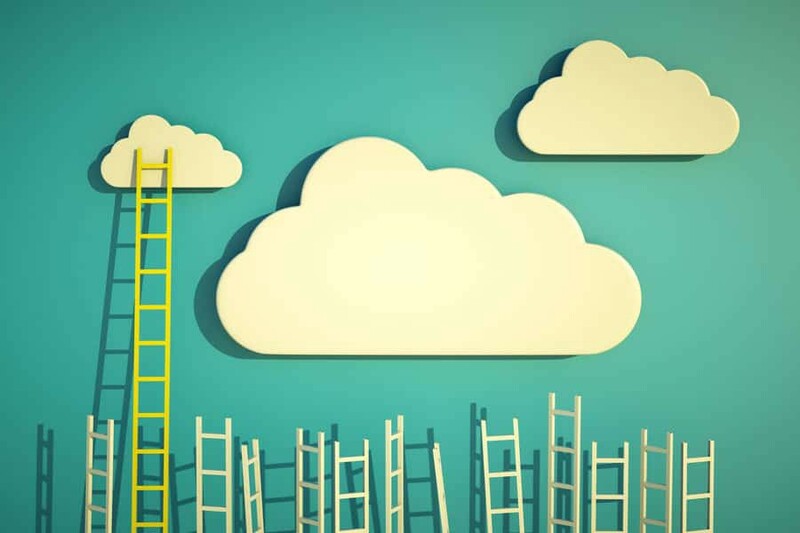 Taken together, you come to realize that you are not really jumping off the ladder at all — you’re adding more rungs and going in a new and exciting direction. Get a Mentor, Get a Coach, Get a life!